7am on Saturday 4th April saw me stood on the platform at Menston station waiting for a train to take me to Manchester. It’s not often I want to be up at that time on a Saturday but cake was calling! 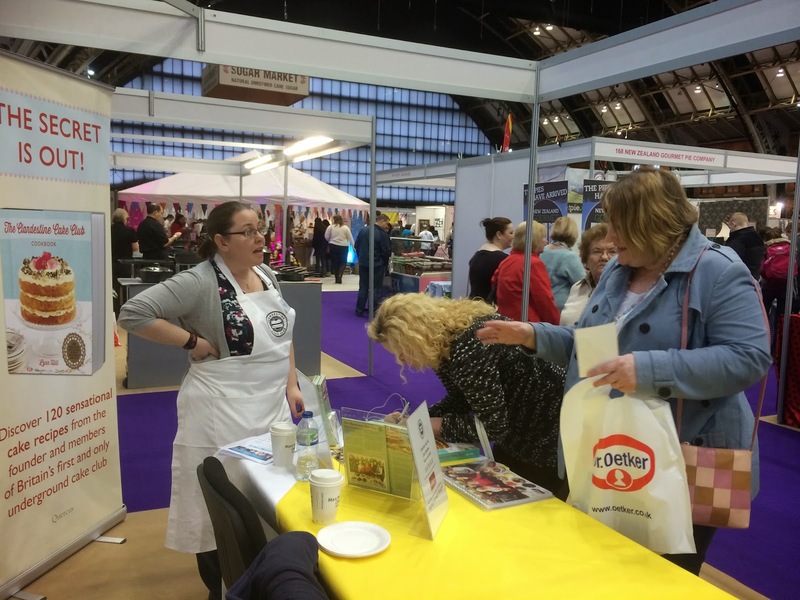 The Cake andBake Show was at Manchester again and this time I was lucky enough to be helping Lynn Hill on the Clandestine Cake Club stand. 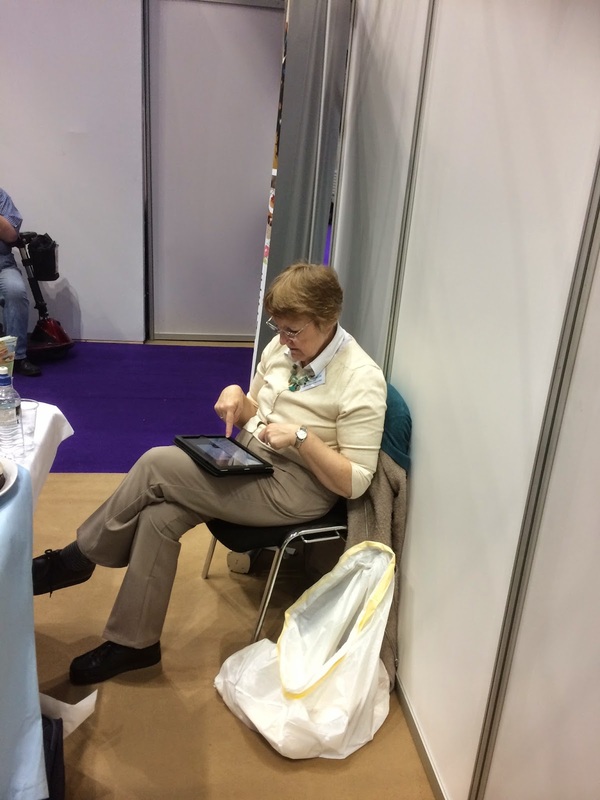 Lynn was there for all 3 days but asked for 3 organisers to help her on the stand each day. Saturday was my chosen day and I was there with Jen from CCC Nottingham and Julie from CCC Derby. 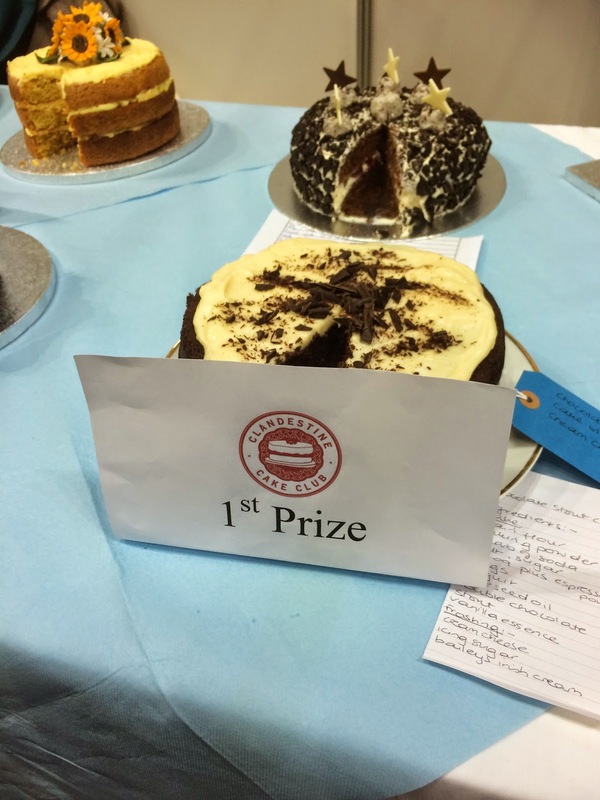 We were there to help Lynn with the Taste on the Table competition that Peter Sidwell was kindly judging again and to promote the club to prospective new members. Welll what can I say? I had the best day ever! 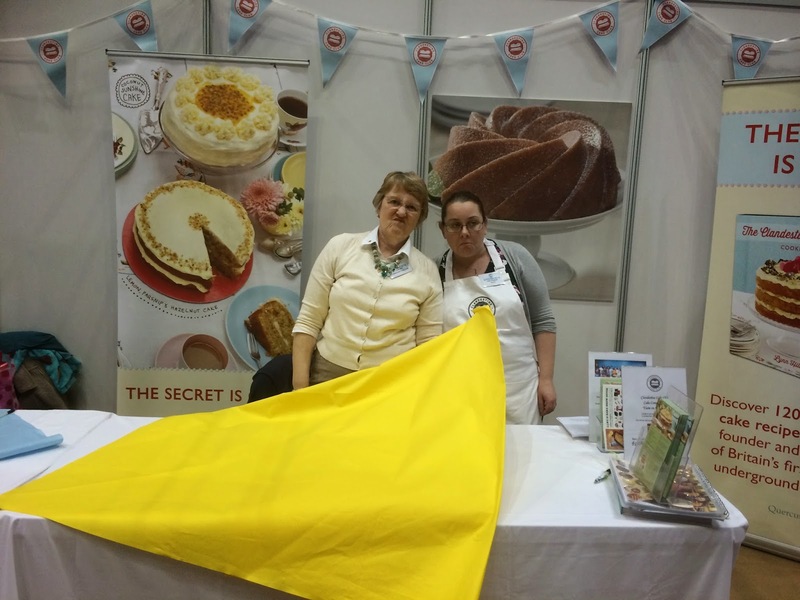 We arrived at 9:30, donned our CCC aprons and had a wander round the show before the doors opened at 10am. 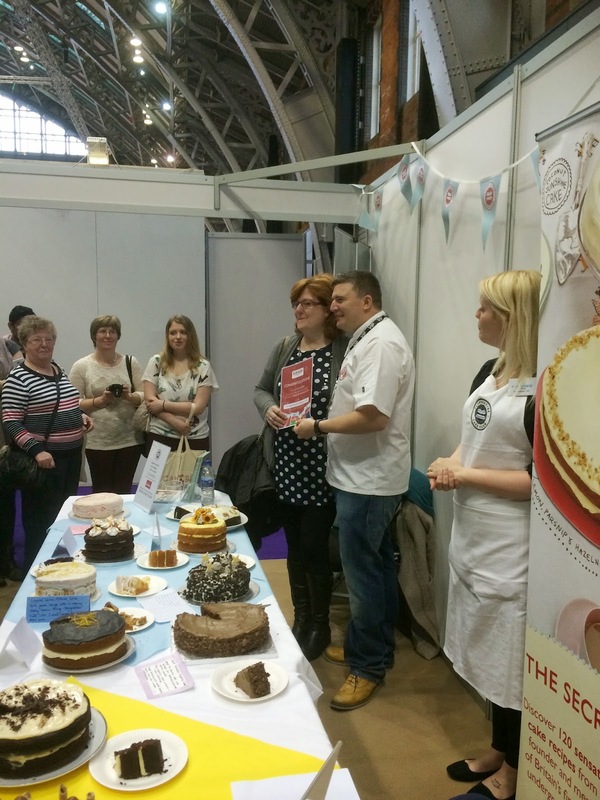 Cakes soon started arriving for the competition and before we knew it, it was 12pm and Peter Sidwell was there ready to taste the cakes. He was such a sweet and genuine person, just as lovely as when I met him last year. 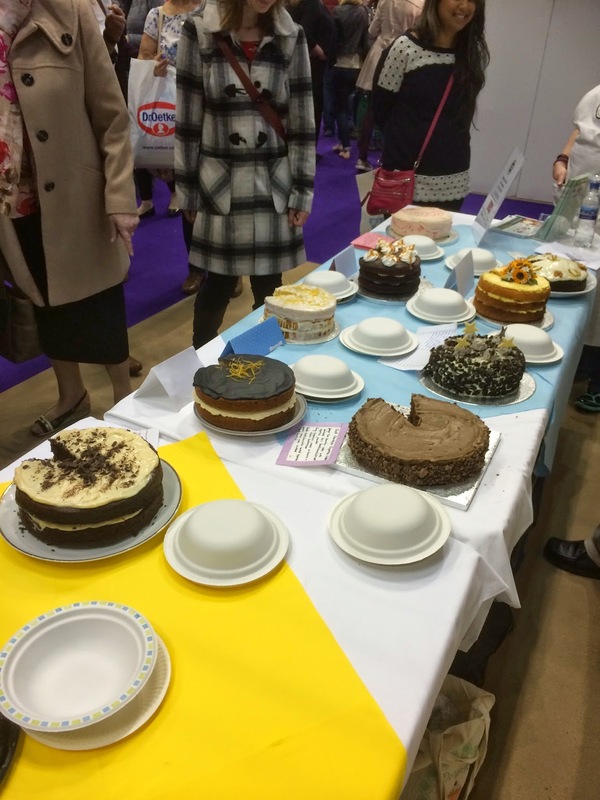 Lynn asked one of us three to judge the cakes with him so Jen ended up doing the testing while I was crouched on the floor trying to get as many good photos as possible (there were a lot of people around the CCC stand by this point). Heidi’s chocolate porter cake won and I can confirm it was a worthy winner. 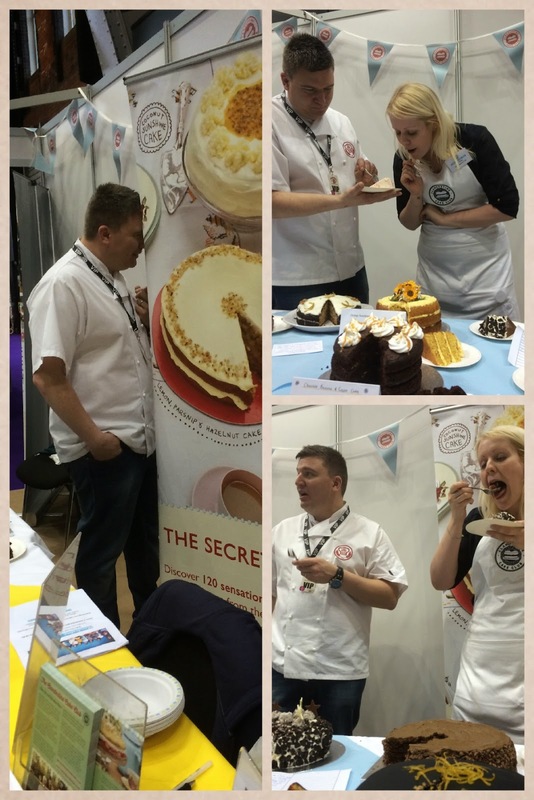 I had a sneaky bite of some of the cakes after the judging and it was very yummy! 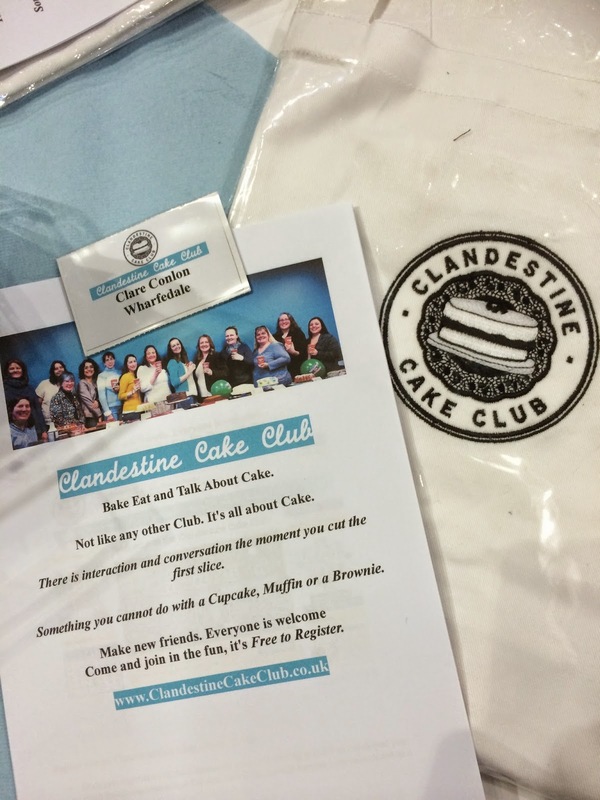 The rest of the day passed by in a blur of people and telling them about the club, some just couldn’t get their head around the fact that we just get together to eat cake and that it was free. 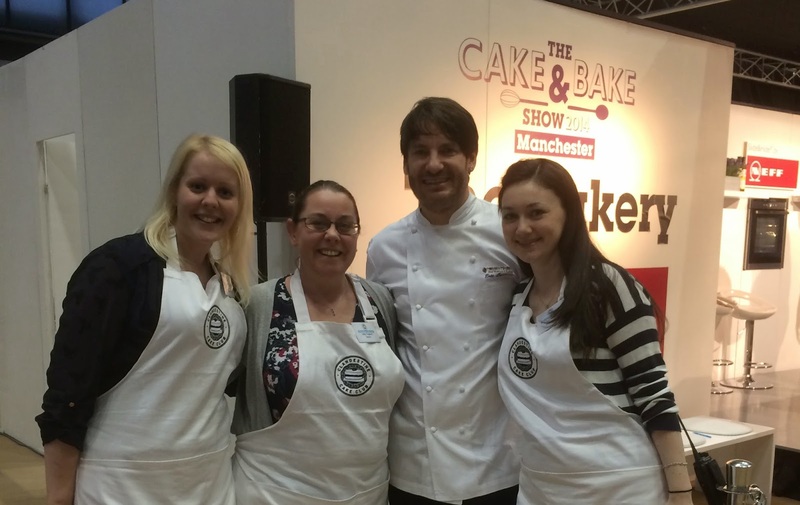 We were also fortunate enough to meet many other famous baking stars including the lovely Eric Lanlard and some GBBO people (Glenn, Christine, Kimberley and Frances). 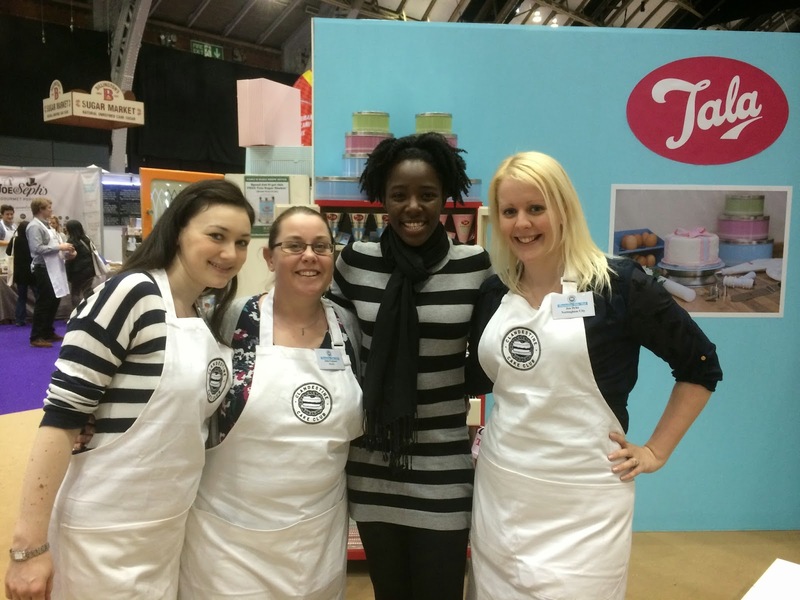 We were chatting to Kimberley for ages, she was so happy and lovely, just like she was on GBBO. 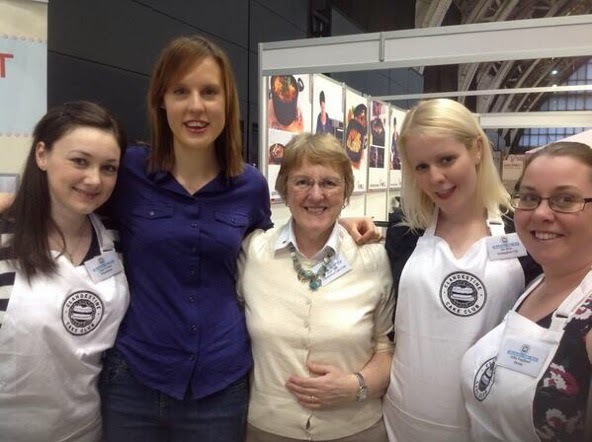 When Frances appeared at our stand I just felt two arms go round me and a voice say “I’m sorry I’m only getting down now to see you all” and I looked up to see Frances there. She was another sweetheart who was so friendly and happy to chat. I can honestly say that fame hasn’t changed any of these people (ok I know I never knew them before they got famous) but they were all so down to earth and happy to talk and pose for photos. I will stand by my point that cakey people are the nicest people! 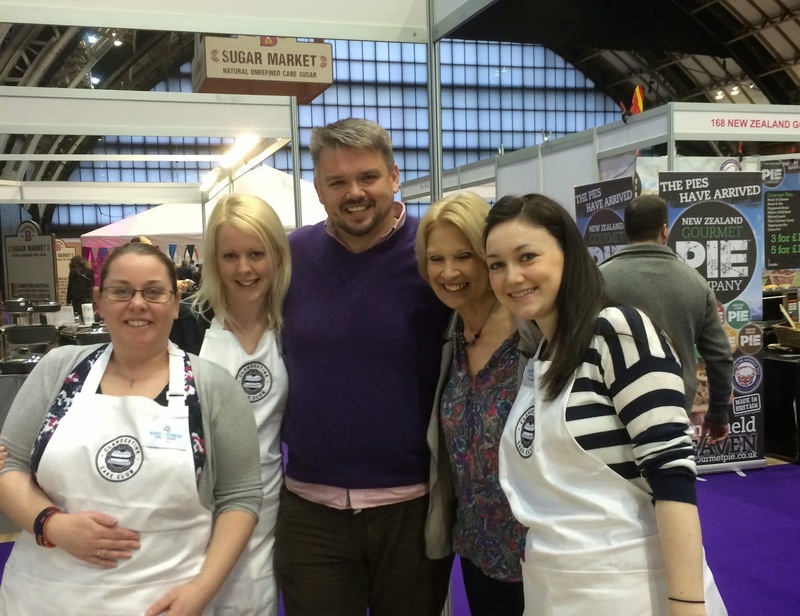 Towards the end of the show I popped over to see Sugar andCrumbs who I did a review for a few months ago. 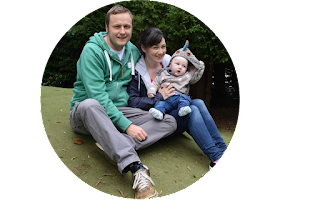 I was please to finally put a face to the name and was chatting to them for ages. I sampled 7 different flavours of their icings and I was buzzing by then end, all tiredness was gone after that sugar hit. Their icing sugars and cocoa are amazing, everyone tastes exactly like the flavour it says it is. Their owner is from Derry so we had a few minutes chat about home and moving to England which was nice. I bought their strawberry milkshake icing sugar and they gave me a few freebies too so I’ll definitely be reviewing those in the near future! I haven’t even got on to telling you all the amazing stuff I saw at the show but I’ll leave that for another post. I got back into Leeds about 8:30pm, met Himself for a quick curry and then went straight to bed when I got home. I could have cried the next morning when my alarm went off for my driving lesson but the exhaustion was so worth it. 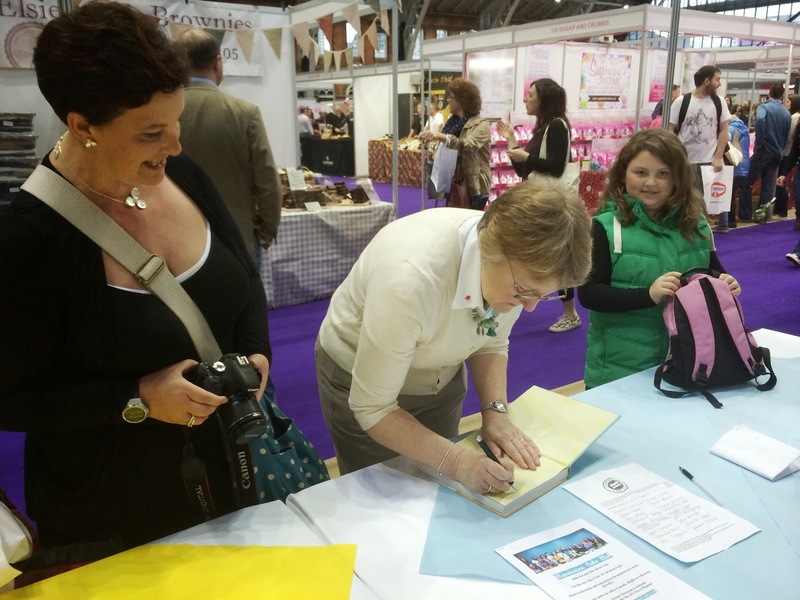 Thank-you Lynn for giving me the opportunity to help on the CCC stand, I had a truly wonderful day!